I must admit, I was quite relieved that I didn't get zapped by lightning or swallowed by the ground after my blasphemous comments (and thoughts) about the Monastery of the Transfiguration. But I guess I was inflicted with another kind of punishment: Hunger. It was past noon and we hadn't had lunch. We'd been on the road for most of the morning, traveling from Cagayan De Oro to Bukidnon. Finally, we arrived in the latter's city center of Malaybalay. A miniature replica of the Eiffel Tower sprung into view as our van veered right from the main highway. It stood in front of a small structure adorned with thatched fronds. Tables dotted one side of the road while a parking space was on the other. Inside, high rectangular tables with matching high chairs lined the room. It looked like a Spanish-era house with its walls of polished wood. 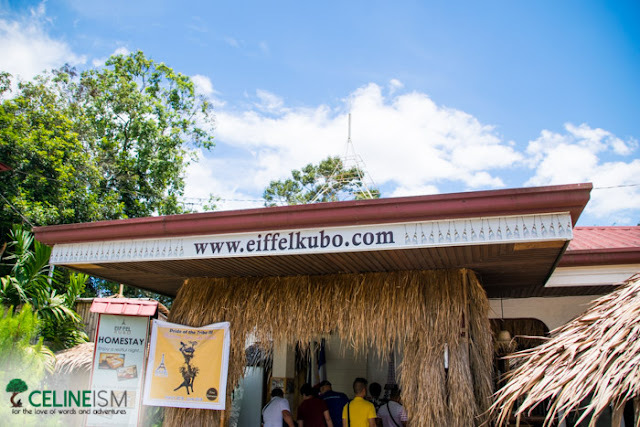 Eiffel Kubo was founded by a group of people who loved food, arts, and positive change. While most of them are Filipino, one was French. William, the resident Frenchman, was inspired by Jose Rizal, particularly by his writings and ideas in La Liga Filipina. 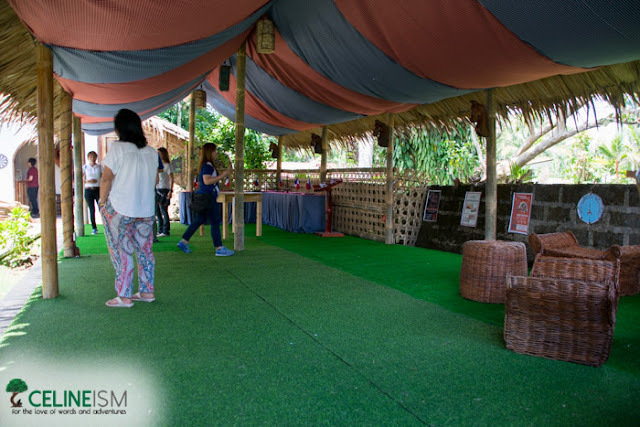 Eiffel Kubo was established to help bring a source of livelihood to the people of Mindanao, to aveliate poverty and be a home for the arts. 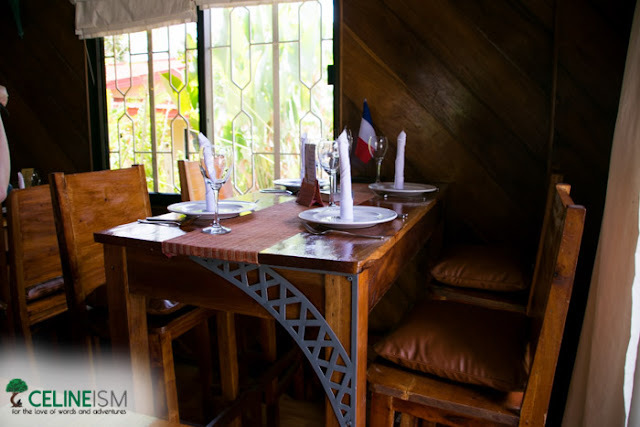 Eiffel Kubo feels and looks mostly Filipino, but there are subtle touches that tell of William's heritage: tiny metal Eiffel Tower pendants, steel accents on the wooden tables, and the smattering of wine glasses. The French influence is more present in the food. We dined twice here, one for dinner and for lunch. From the array of dishes, one could easily detect the combined influences. We were served Red Petit Calamari (Php245). 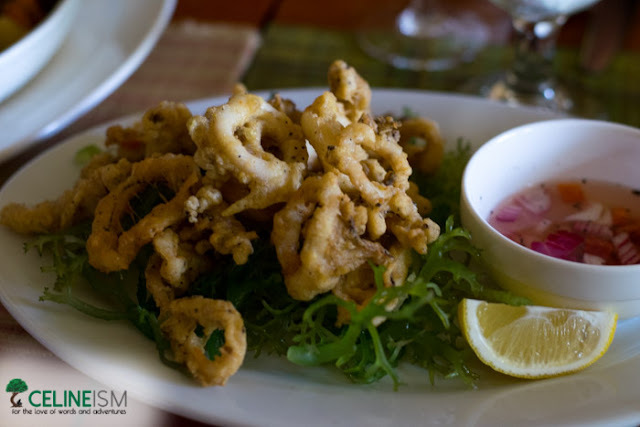 These are deep-fried calamari with herbs and a lemon zest, laid out on a bed of seaweed. You remember I am allergic to seafood, so I did not get to try this. My companions were scrambling for it though, so I guess it was good. 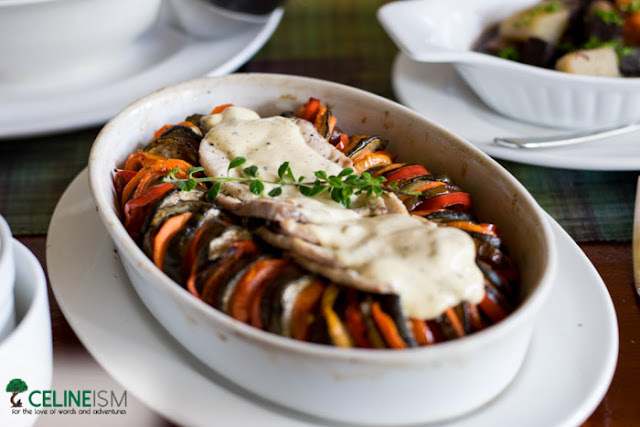 My favorite was the Taguige Ratatouille (Php295). It's got loads of vegetables and is served with sliced herbed mackerel. I love the flavors of the peppers, made it taste like pizza. 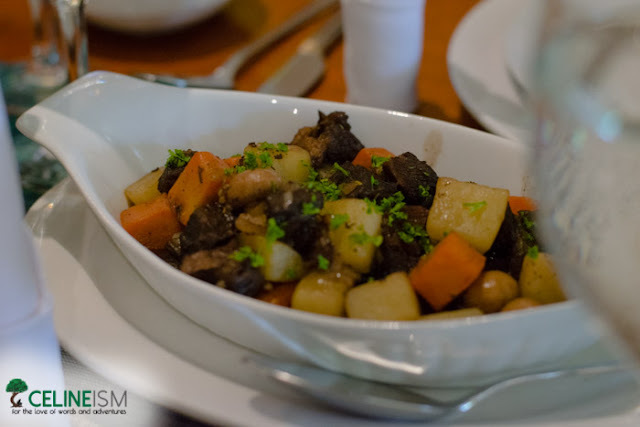 There's also the Parisian Humba (Php245) with a surprise hint of cinnamon, and the Beef Burgundy (Php290). 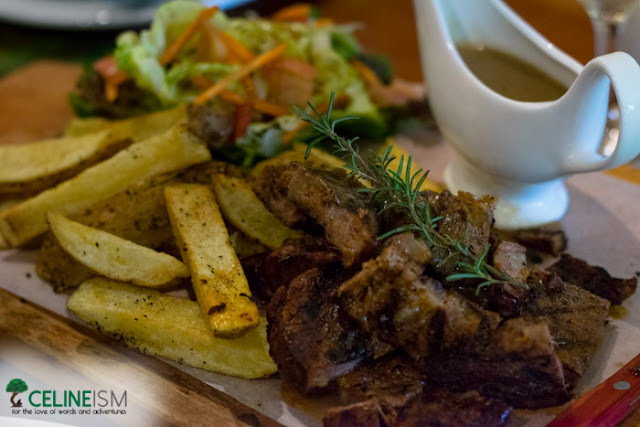 The main event was Chef Olyver's Grand Steak (Php845) – 400 grams of grilled chuck-eye beef served with fresh potato fries. Since I don't eat meat, I tackled the fries and proceeded to order heaps of Moulin Rouge French Fries (Php175). I must say, it's perhaps one of the best fries I've had! The house dip went well with the potatoes. 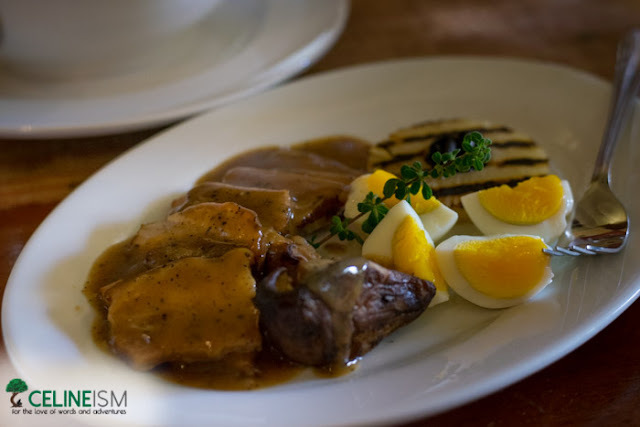 We were also served Manok Au Vin (Php325) which is Bisayang manok simmered in red wine and cognac with mushrooms, thyme, and Java mint. 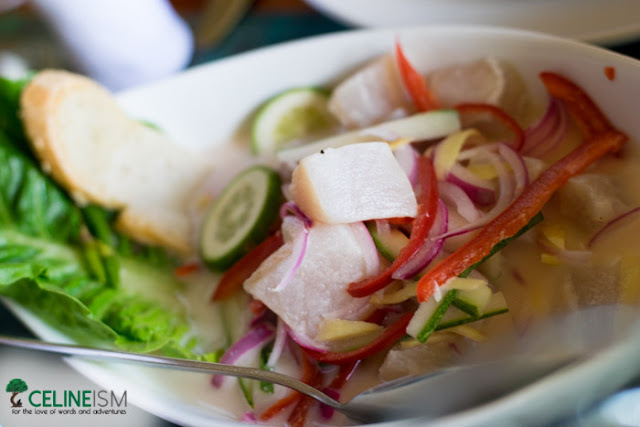 Kinilaw (Php275) also graced our table, spiced with the tabon-tabon fruit. 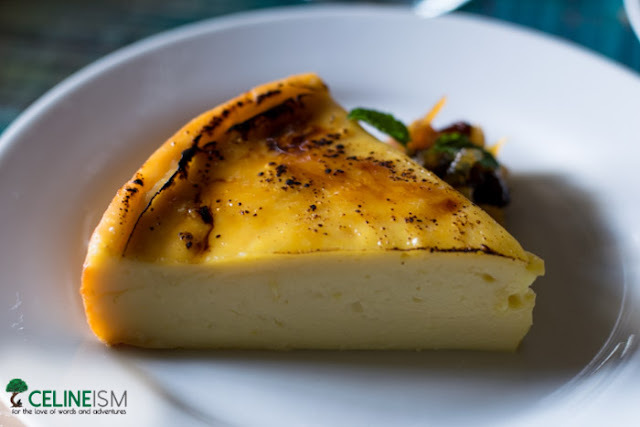 For dessert, we had a Classic French Flan (Php170), infused with the local flavors of dayap and pandan. 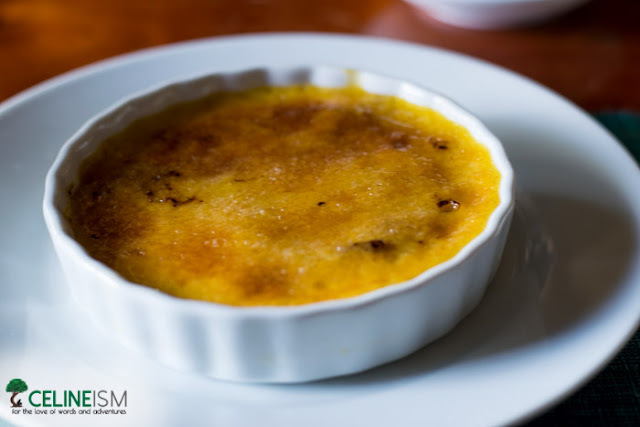 There's also Chef James Brulee (Php175) which had slices of muscovado-marinated buko. 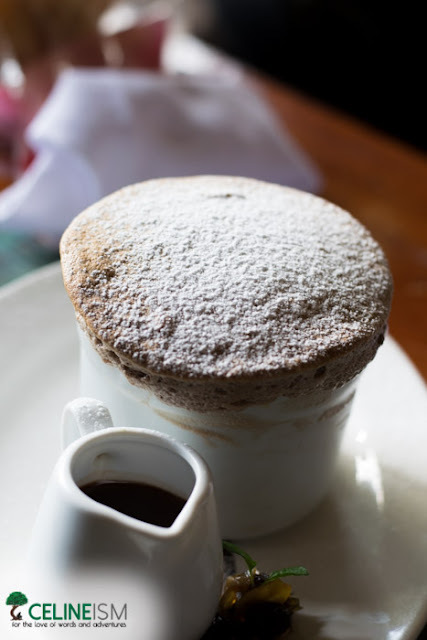 We also got to try a duo of souffles: Bibingka Delight Souffle (Php175) and Pure Choco Souffle (Php165). 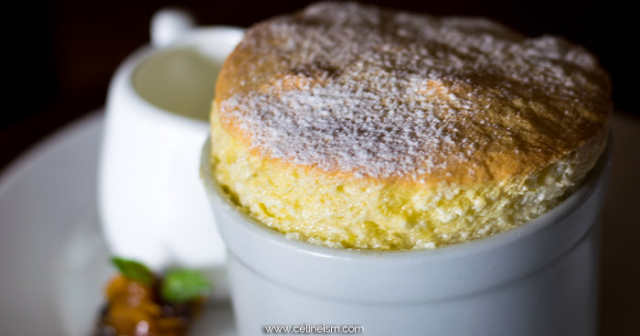 The former is a fusion of the native kakanin and the classic French dessert, complete with a bed of salted eggs! The latter, meanwhile, is made of dark chocolate – tasted like a fluffy sikwate! Take note that the restaurant has a 10% service charge. 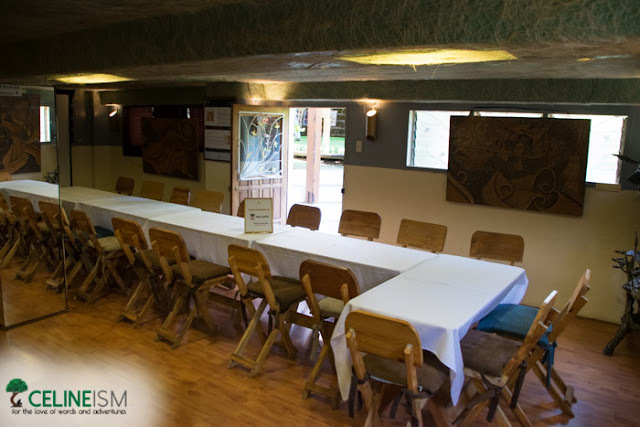 In addition to serving a menu of elegant and tasty dishes, Eiffel Kubo also offers a venue for meetings and events. Downstairs, there's a spacious conference room. There's also a garden-type space in the backyard. 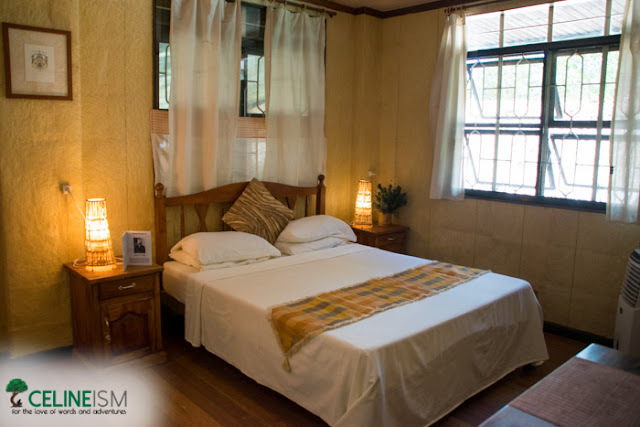 There are also homestays for as low as Php300/night. Add Php155 and you'll get a sumptuous and hearty breakfast. Workshops and skills training, like baking and cooking, regularly take place here. 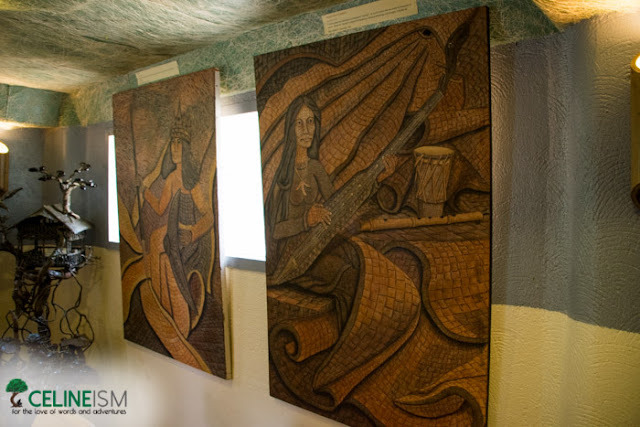 There are also art exhibits, recently featuring soil paintings from Talaandig artists. 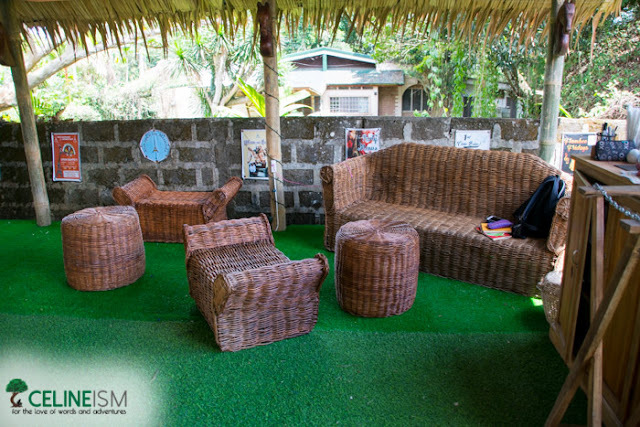 For room rates, check out Eiffel Kubo's website. 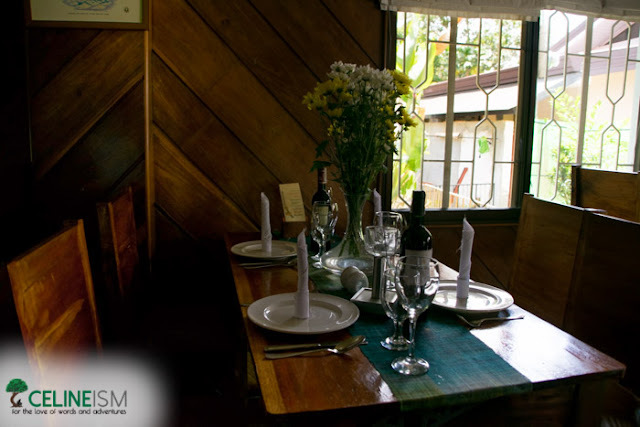 If you're traveling to Northern Mindanao, Eiffel Kubo is a great place to get some good grub. It's also a good headquarters during Kaamulan. The rooms are nice and inexpensive. And the location's pretty strategic, too. It's walking distance from the Kaamulan grounds.